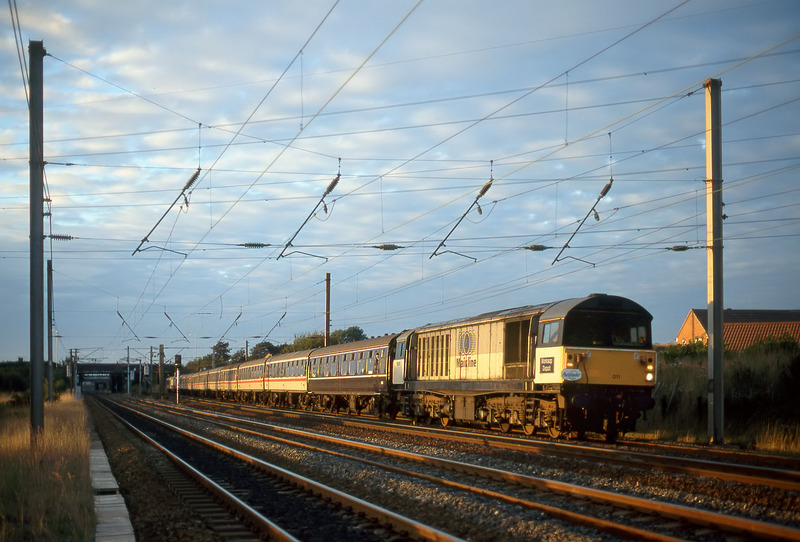 58011 Worksop Depot finds the last of the day's light as it passes Farington Junction, near Preston on 14 September 1996 with the Pathfinder Tours 1Z58 13:45 Newcastle to Bristol Temple Meads 'Geordie Choppers' railtour. Observant viewers will have noticed that this is not Geordie Land, nor is 58011 a chopper! 20304 & 20305 were the main traction event (or possibly 08633 on the mini tour around Newcastle), and 58011 was 'merely' the loco used to get the tour to and from the south.